Thomas has a diverse practice which spans public international law (in particular international trade law (WTO law) and investment treaty arbitration) as well as Chambers’ core practice areas of EU law and competition law. He also acts in international commercial arbitrations. Recent case highlights include acting for various airlines in the long-running Air Cargo cartel damages litigation in the English courts; acting for Gazprom in multi-billion dollar arbitrations relating to transit of gas through Ukraine; and acting for Bahrain in an inter-state WTO dispute concerning economic sanctions imposed on Qatar. Since the 2016 referendum Thomas is frequently consulted by UK government departments on Brexit-related issues. His combined understanding of trade law, trade diplomacy and EU law allows him to provide sophisticated advice in this rapidly evolving area of law and policy. Thomas has acted in over 20 treaty cases and has an in-depth understanding of the commercial, regulatory and political factors that give rise to international trade and investment disputes. He has appeared before a wide range of international tribunals including arbitral tribunals established under bilateral investment treaties, WTO panels and the WTO’s Appellate Body. He also has experience of acting in inter-state mediation proceedings. Thomas is on the UK Attorney General’s Public International Law Panel (B Panel) and has been consistently listed in the Legal 500 and Chambers and Partners. French investor v European State, UNCITRAL arbitration, The Hague. Acted for a European State in a dispute arising from the revocation of marketing authorisations for two pharmaceutical products. US investor and Dutch investor v Central Asian State, ICSID arbitration, London. Acted for two energy companies in a dispute relating to the imposition of price controls in the electricity sector by national competition authorities. Millicom v Senegal, ICSID Case No. ARB/08/20, Paris. Acted for a telecom operator in a dispute regarding the threatened revocation of a telecom license. Bahrain — Measures Relating to Trade in Goods and Services, and Trade-Related Aspects of Intellectual Property Rights, DS 527. Acting for Bahrain in its dispute with Qatar regarding sanctions imposed on national security grounds by Bahrain and other Gulf Cooperation Council countries. Australia – Certain Measures Concerning Trademarks, Geographical Indications and Other Plain Packaging Requirements, DS 458. Acted for Cuba in its dispute with Australia regarding plain packaging requirements imposed on tobacco products. South Africa – Anti-Dumping Duties on Frozen Meat of Fowls from Brazil, DS 439. Acted for South Africa in its dispute with Brazil regarding anti-dumping measures imposed on imports of poultry. Thailand – Customs and Fiscal Measures on Cigarettes from the Philippines, DS 371. Acted for Thailand in its defence of fiscal and regulatory measures applied to imported cigarettes. European Communities – Regime for the Importation of Bananas, DS 361. Acted for Colombia in multi-state mediation proceedings regarding the European Union’s import regime for bananas conducted by WTO Director-General Pascal Lamy. United States – Measures Relating to Shrimp from Thailand, DS 343. Acted for Thailand in its challenge to enhanced bonding requirements imposed by the United States on importers of shrimp. Korea – Anti-Dumping Duties on Imports for Certain Paper from Indonesia, DS 312. Acted for Indonesia in its challenge to anti-dumping duties imposed by South Korea on imports of paper. European Communities – The ACP-EC Partnership Agreement, WT/L/ 616, WT/L/625, First and Second Recourse to ad-hoc arbitration pursuant to the Doha Ministerial Decision of 14 November 2001. Acted for Colombia, Costa Rica, Ecuador and Guatemala in their challenges to proposed European Union import tariffs on bananas. European Communities – Export Subsidies on Sugar, DS 283. Acted for Thailand in its challenge to the European Union’s subsidy regime in respect of sugar. European Communities – Conditions for the Granting of Tariff Preferences to Developing Countries, DS 246. Acted for India in its challenge to tariff preferences granted by the European Union to textile products from twelve developing countries. Thomas has broad experience across competition and regulatory matters. He has a particular interest in conflicts of laws issues as they arise in competition damages litigation. Arcelik v LG and others (Ch. D) Acting for the claimants in follow-on proceedings concerning the cathode ray tube cartel. National Grid Electricity Transmission v ABB and others (Ch D). Acting for the claimants in follow-on proceedings in the Chancery Division concerning the power cables cartel. GSK and ors v CMA (CAT). Acting for the CMA in various challenges to a decision regarding “pay for delay” settlements of patent litigation. Emerald Supplies Ltd & Ors v British Airways (Ch. D). Acting for Singapore Airlines and various other Part 20 Defendants in the air cargo cartel damages cases. Groupe Eurotunnel SA v Competition Commission and SCOP v Competition Commission (CAT). Instructed by the Competition Commission in two judicial reviews of a merger control decision. Thomas is building an EU law practice and has a particular interest in the interaction between EU law and public international law. Case C-591/16 Lundbeck v Commission (CJEU) Acting for the United Kingdom as intervener in a case concerning “pay for delay” patent settlements. Advised on the interaction between EU state aid rules and bilateral investment treaty obligations. Advised on the recognition and enforcement of Dutch collective settlement orders under the Brussels Regulation (recast). Advised on whether a proposed fiscal measure would comply with EU state aid law. Advised on the scope of application of an EU anti-dumping measure. Advised on whether an EU Member State had competence to conclude an international treaty relating to an energy project. Thomas has acted in arbitrations conducted under ICC, ICSID, LICA, SCC and UNCITRAL rules. 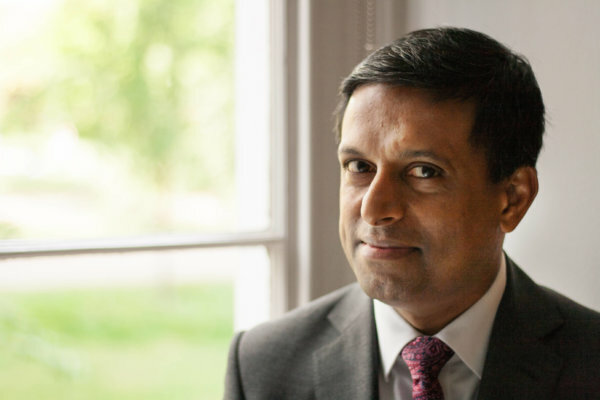 His dual-qualification in England and Wales and India makes him particularly effective in arbitrations that involve both of those legal systems. Thomas also has experience of complex gas price review arbitrations and is very familiar with the use of economic evidence in that context. Naftogaz v Gazprom (SCC Arbitration). Acting for Gazprom in two complex arbitrations regarding the transit and supply of gas to and through Ukraine. The sums in dispute exceeded USD 80 billion. ICC Arbitration, Singapore. Acted for an Indian party in a dispute with a Mauritian subsidiary of an international private equity fund regarding exit from an Indian real estate investment. ICC Arbitration, London. Acted for a UAE party in a dispute arising out of a cement supply contract. LCIA arbitration, London. Acted for an Indian party in a dispute arising out of a goods and services contract. LCIA arbitration, London. Acted for an Indian purchaser in a dispute regarding coal shipments. LCIA arbitration, London. Acted for a bank in a dispute regarding investments in a hedge fund. UNCITRAL arbitration, London. Acted for an oil and gas consortium in a dispute with an Asian state under a production sharing contract. Advised a European state on whether an LCIA award can be set aside on account of alleged failures to take into account EU law. Advised a Singapore corporation on its ability to recover taxes from an Indian counterparty pending the outcome of tax appeals in the Indian courts. Thomas was a Rhodes Scholar and studied law at Oxford University as well as the National Law School of India University. Prior to transferring to the Bar in 2012, Thomas practiced at the Advisory Centre on WTO Law (an international organisation which represents States in WTO disputes) in Geneva and within the international arbitration group of a magic circle law firm in London. He has strong academic interests and was appointed as a Visiting Professor at the London School of Economics in 2017. The law of permissible WTO retaliation in Bown and Pauwelyn (eds), The Law, Economicsand Politics of Trade Retaliation in WTO Dispute Settlement (Cambridge University Press, 2010). World Trade and International Law in Cali (ed), International Law for International Relations (Oxford University Press, 2009). World Trade Organization Remedies and the Assessment of Proportionality: Equivalence and Appropriateness, 48 Harvard International Law Journal 337(2007). Giving Legal Effect to the Results of WTO Trade Negotiations: An Analysis of the Methods of Changing WTO Law, 9 Journal of International Economic Law 989 (2006) (with Hunter Nottage). “The WTO Option“, prepared for UK Legal Future Event titled “Brexit: The Future of International Trade” at the House of Commons, 8 February 2017. “After Brexit: State Aid under WTO disciplines” prepared for the Monckton Brexit Blog, 15 September 2016 (with David Unterhalter SC). “White Industries: The appropriate remedy for delay” prepared for the Tread the Middle Path Blog, 28 June 2014. Thomas has been invited to give lectures and presentations at various institutions and law firms (including the Bank of England, Harvard Law School, the National University of Singapore, and the WTO). Recent topics covered by him include: (1) WTO Law: the basics; (2) what does “Hard Brexit” look like? (3) the treatment of regulatory change in investment arbitration; (4) arbitrating competition damages claims; and (5) London arbitration: a guide for Indian parties.